Activities and classes for toddlers and preschool children focused on craft, movement, sport, creative and sensory. 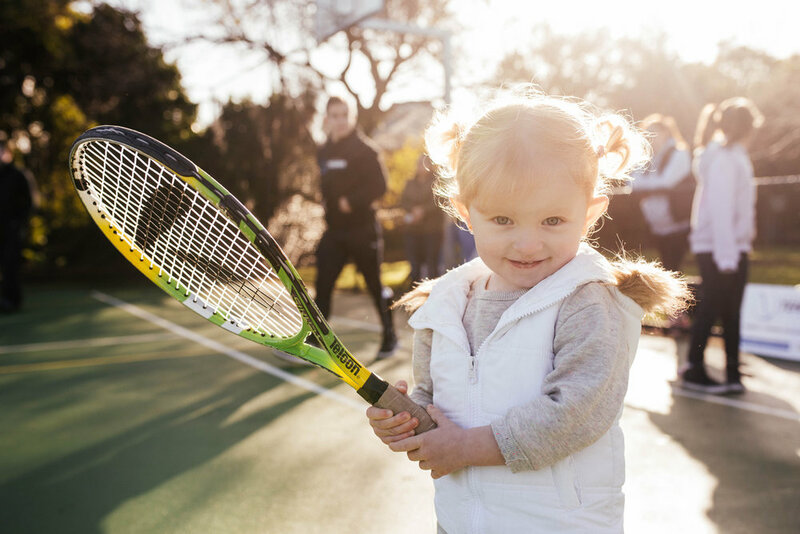 Little Tennis Stars will be conducting their Hot Shots Blue Stage on Tuesday’s and Friday’s, and you can choose from 9:30am or 10:00am classes which go for 30 minutes. "Creative thinking inspires ideas. Ideas inspire change." We would like to thank you, our Kid & Hub community for your inspiration, support and loyalty over the last 9 months. It’s been exhilarating with highs and lows and in-betweens. Thanks to your endless, invaluable feedback we are constantly looking for ways to improve our service offering and in-turn, your Kid & Hub experience. We are expanding our Play Hub! We will be disabling our online booking system, effective Monday 27 November, 2017. All bookings from here on must be made over the phone, via email or in person. Bring on the next 9 months… see you again soon at the hub! with love, Giuls & Stace. We launched our Kid Cooking program this month, and our little chefs were grinning from ear-to-ear and trying very hard not to munch down on their Funny Face biscuits before the icing set. Kid & Hub are an official drop point for The Nappy Collective - an initiative that collects your leftover, unused disposable nappies and redistributes them to organisations that support families in crisis or in need. Get involved!